A 10 year old girl is supposed to be enjoying her childhood and youth. Unfortunately, that is not the case of a 10 year-old pregnant girl from Paraguay. The story captured the hearts and the souls of millions around the world when the story first broke. It all started when the girl was complaining of pain in her stomach. He mother took her to the doctor just to find out that her daughter is 21 week pregnant by her step-father. What is appalling about this story is that the Paraguayan government denies abortion for this girl. Her story is one of thousands stories that happen daily in Paraguay. The story of the 10-year old raises attention towards human rights violations women in Paraguay face as their reproductive rights are denied. Women’s reproductive rights in Latin America have always been a challenge. The fact that most Latin American countries are Catholic, they use religion as a base in the determination of women’s health issues. For instance, abortion is banned in most countries with an exception of few such as, Mexico and Cuba. These limitations on Women’s reproductive rights have turned into human rights violations. In particular, they lead to women seeking illegal abortion that cause either their death or complications that require hospitalization and medical attention. Latin America is the leading country in illegal abortions in the world. (Human Rights Watch, 1). One of the most controversial countries in this aspect is Paraguay. Just a few months ago, a 10- year old Paraguayan was impregnated by her step-father. 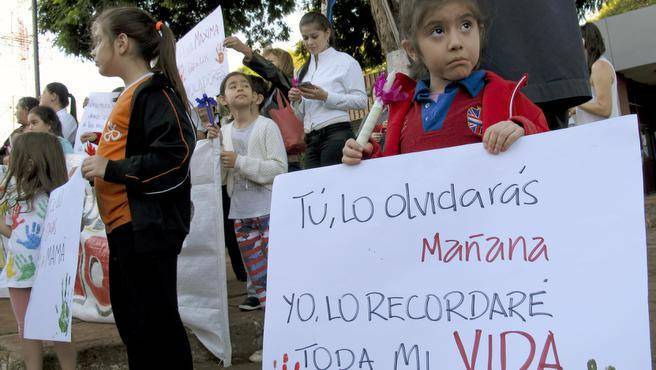 The Paraguayan authorities refused to allow the girl to have an abortion because the Paraguayan law prohibits abortion, except if the pregnancy represents a life-threatening risk to the woman. This case was the final straw in regards to human rights violations specifically women’s reproductive rights in Latin America. Even though there was a huge deal of International Organizations and Paraguayan Non-Governmental Organizations interfering through pressuring the Paraguayan government to allow the 10-year old to have an abortion, the abortion still has not been allowed. Indeed, the request was faced by a flat out refusal. The Paraguayan government insisted that the girl’s health is in a good condition and she has been treated in the Red Cross Hospital in the Capitol Asuncion. Now the 10-year old is in her last few weeks to giving birth via cesarean. Mexico can be perceived as a model for Paraguay in legalizing abortion. Even though Mexico is a Latin Catholic country, it succeeded in preserving women’s reproductive rights through legalizing abortion and offering free services for women in most cities. The law was passed in 2007, and women’s organizations are still working on making the services available to all the cities, especially the ones located in far areas with a limited income. (Booth, 2015). Mexico can be a great model for Latin American countries to follow to legalize abortion, especially the Paraguay.